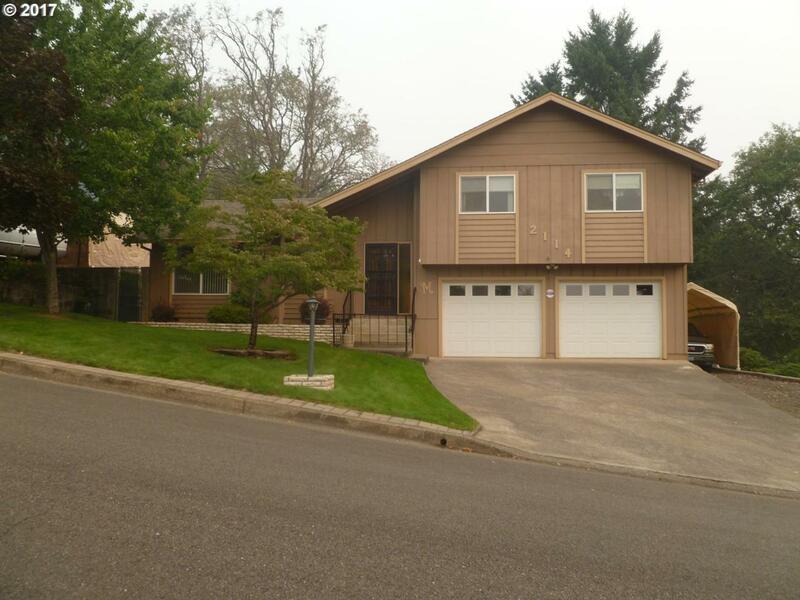 Updated 3 br, 2 ba home, nicely placed on a large lot with lots of privacy out the back. Remodeled kitchen, large living room. Garden area. Well landscaped. 26x10 covered deck off back. RV parking and access to back yard. 10x12 storage shed. Some storage shelves in garage will stay and some are excluded. Hot tub, portable garage, new windows within 5 years. Commercial kitchen deep sink, 10x12 master bedroom balcony.